Cheltenham Festivals relies on enthusiastic and hardworking teams of volunteers to deliver its acclaimed programme. We are looking for local people of all ages, interests, backgrounds and walks of life to generously give their time to help us make these Festivals possible as part of our Welcome Team. 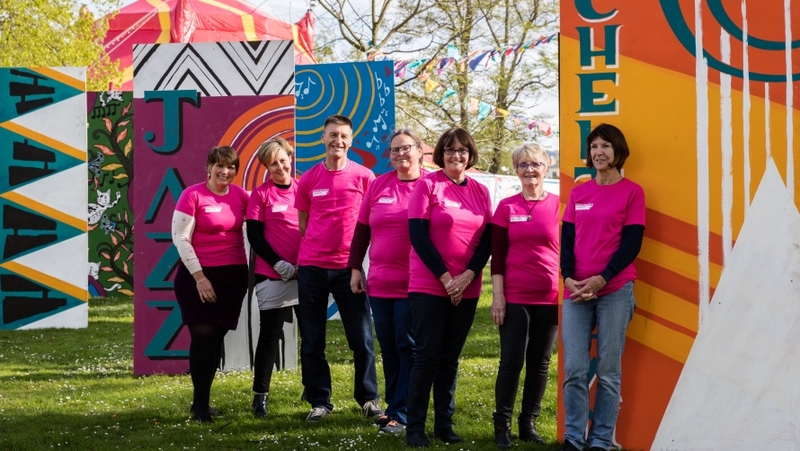 A strong team of volunteers welcoming and assisting the thousands of performers, speakers and audiences who make our festival so special is vital to the success of the festival. Our Welcome Team shall be made up of local people who are interested in helping regularly at our events. In advance of each Festival you will be asked to let us know when you are available to volunteer, enabling you to organise your time around any events you have booked to see. We will then contact you with your personal schedule of shift-times and duties. As a member of the Welcome Team, you will receive an official festival t-shirt and lanyard ID. In return for your time and support, we offer you the opportunity to enter any non-sold-out events on the day that you volunteer. You will meet other like-minded individuals, and we aim to ensure a rewarding, enjoyable and enriching experience. Working as a volunteer for Cheltenham Festivals is a fantastic experience. It’s great to feel you’re making a useful contribution to the running of the festivals which are such a vibrant part of Cheltenham’s cultural scene. Volunteering provides a fascinating ‘behind-the-scenes’ view of how the festivals work. You can experience a wide range of different jobs and meet interesting people, both fellow volunteers and event participants. You always feel welcomed by a supportive, friendly and appreciative team. The Welcome Team work alongside our team of full-time festival-specific volunteers. Our Festival Volunteers are recruited at specific times of the year, and cater for anyone who has an interest in one particular festival and wants to commit to volunteering full-time. The Welcome Team volunteers are scheduled shifts based on their own availability, volunteering on a part-time basis around their other commitments. Once you have registered for the Welcome Team, you will be added to our database and contacted in advance of each Festival in order to give your availability.